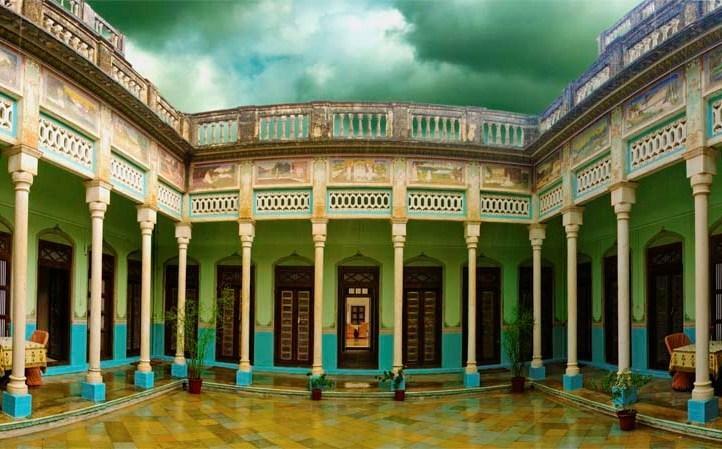 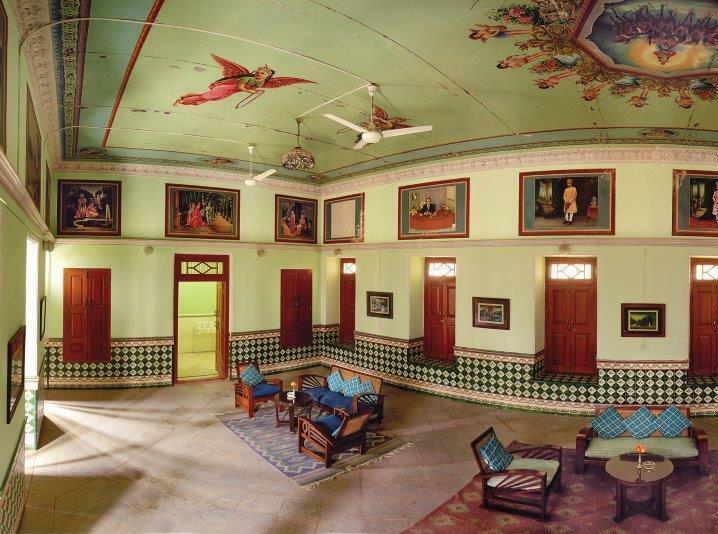 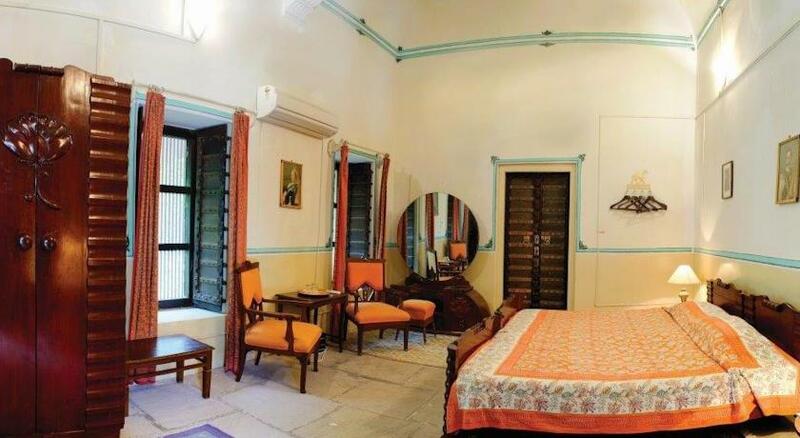 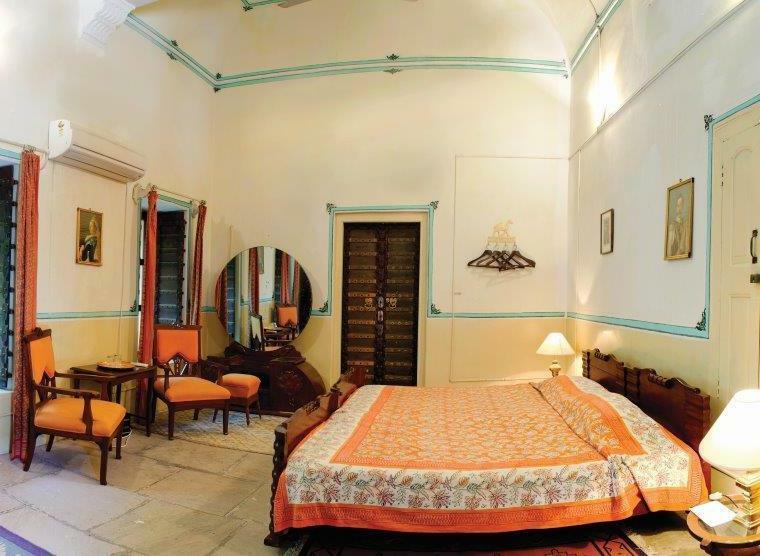 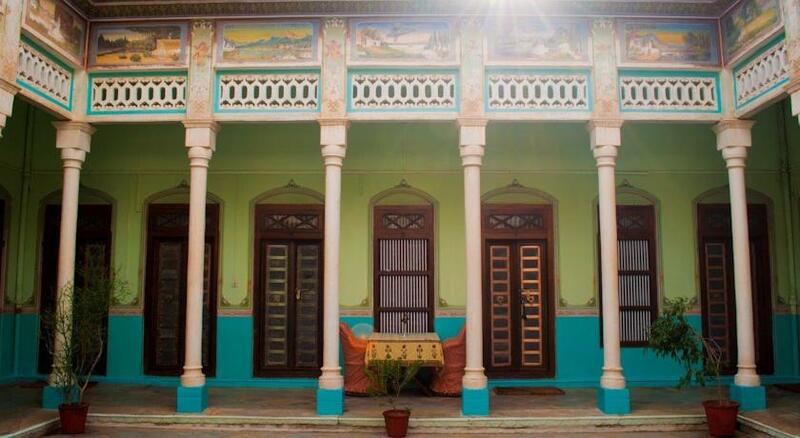 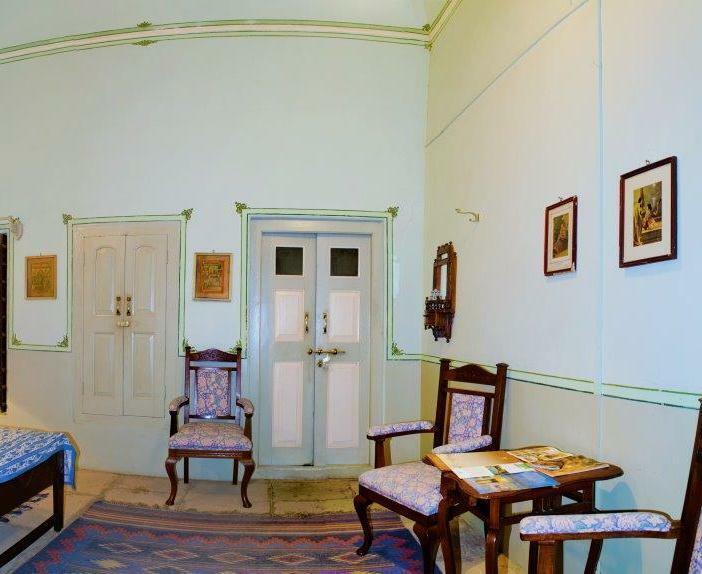 The Piramal Haveli, situated in the village of Shekhawati unfolds the story of kingdom and priceless time of ancient ages. 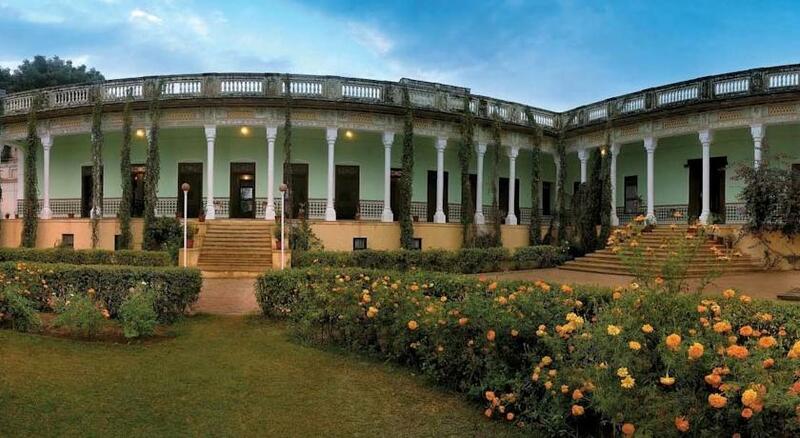 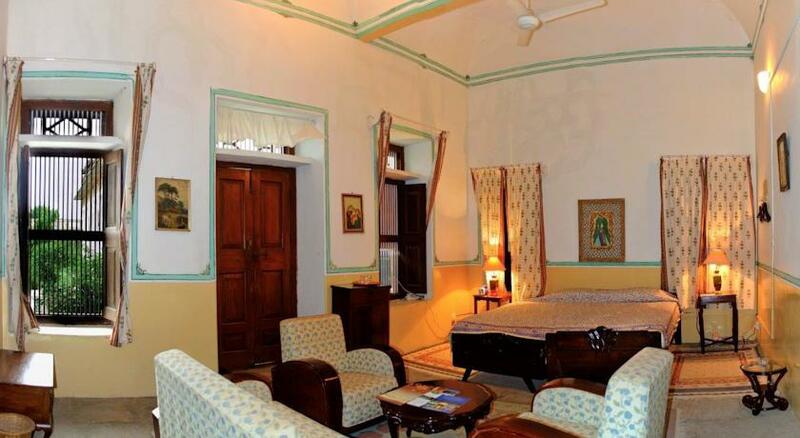 It is now one of the most popular heritage hotels of the region. 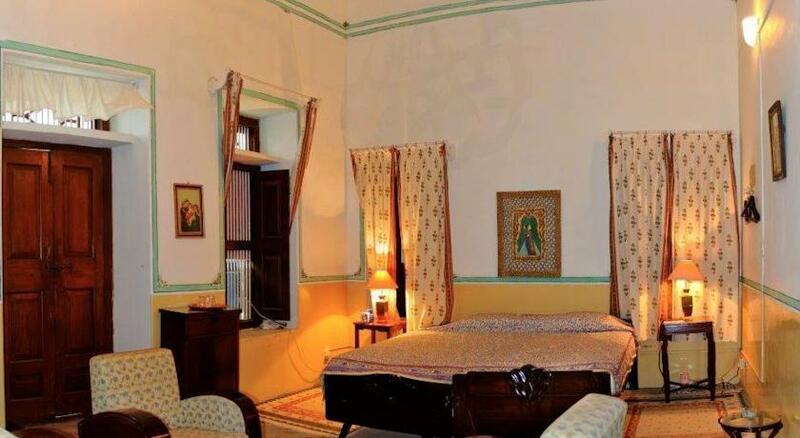 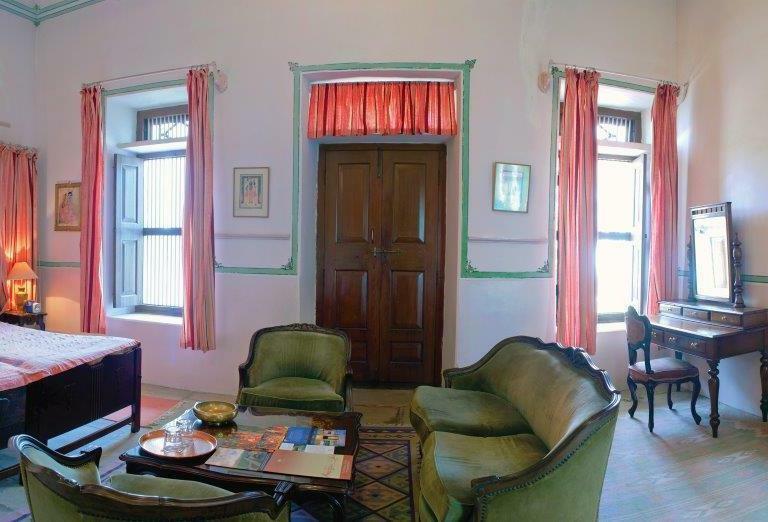 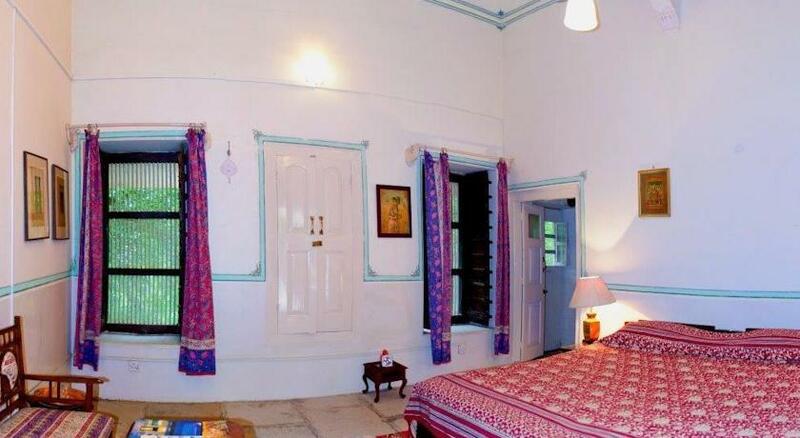 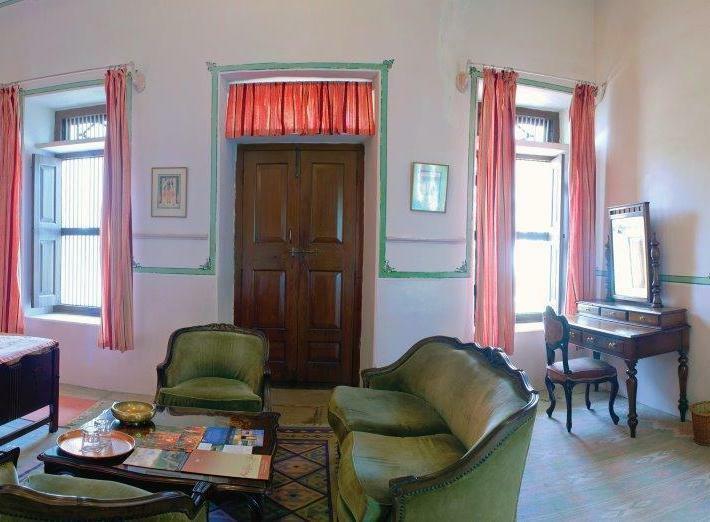 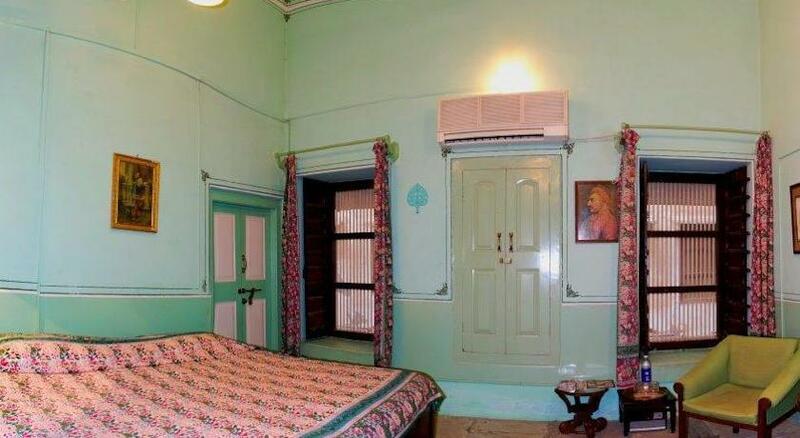 The traditional interiors does gives the complete feel of living every moment like king size. 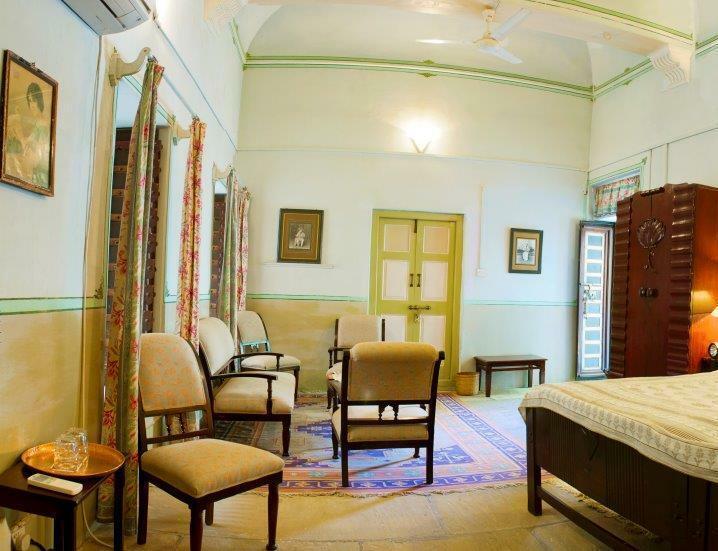 The friendly staff here and good coordinated management make the stay even more pleasurable. 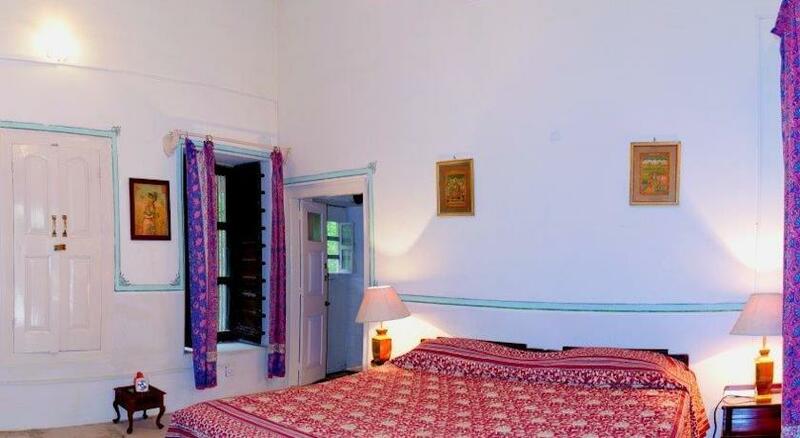 The hotel is situated in calm and peaceful environment. 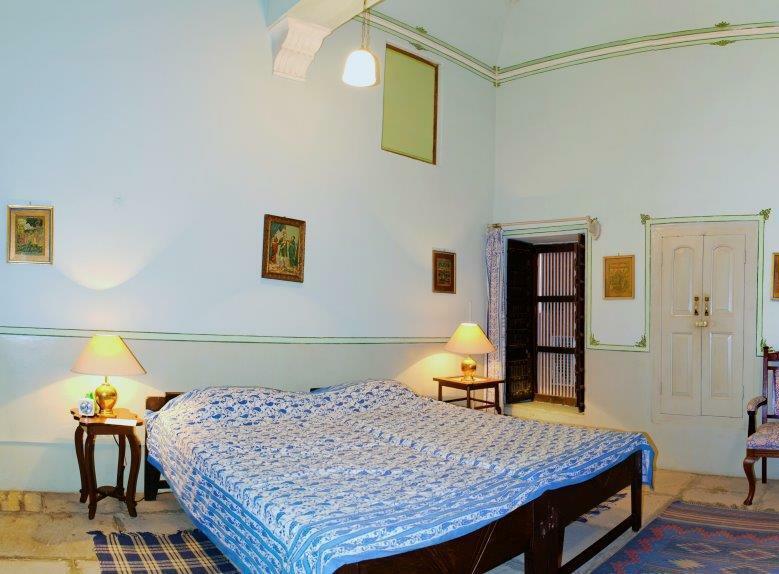 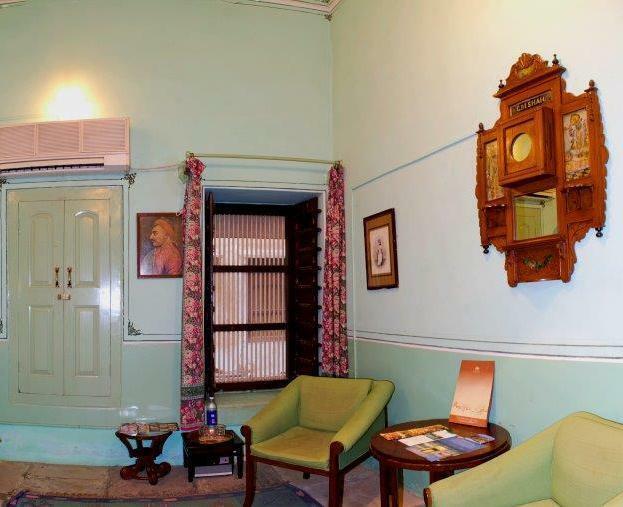 Every accommodation does have private and spacious bathrooms with desired amenities. 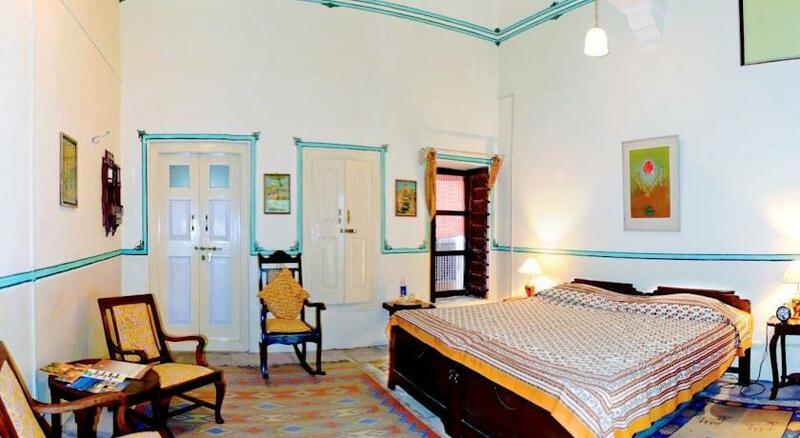 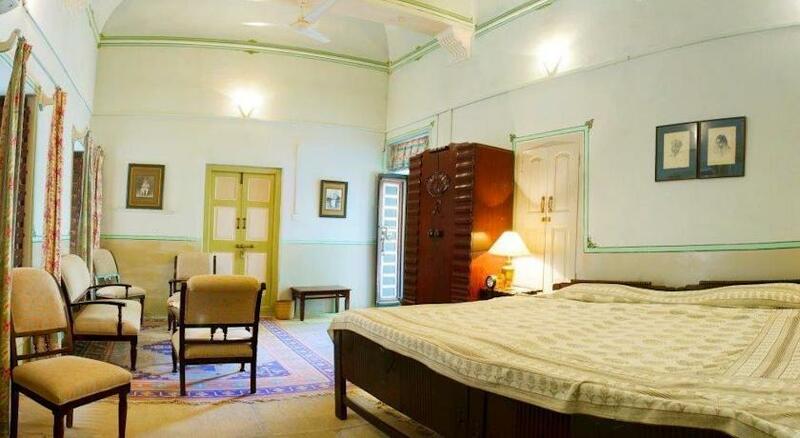 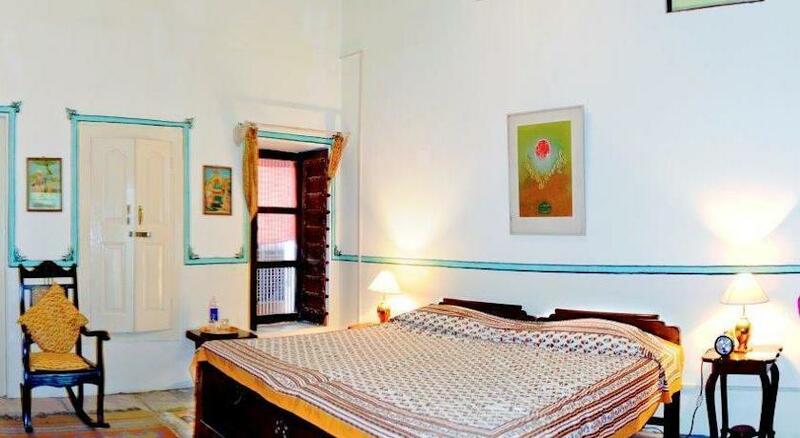 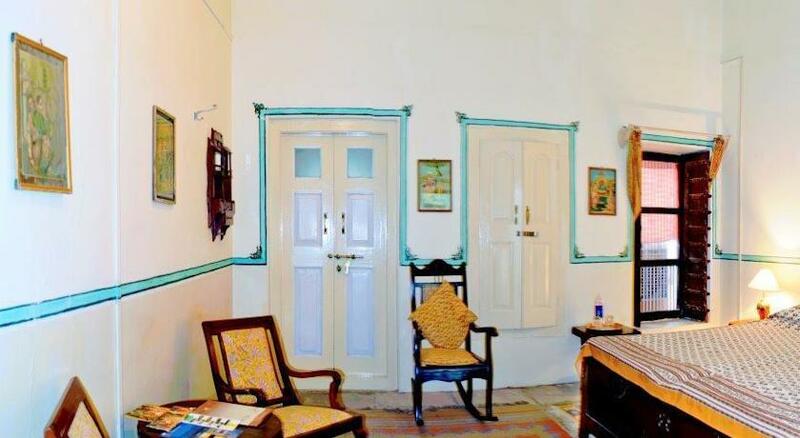 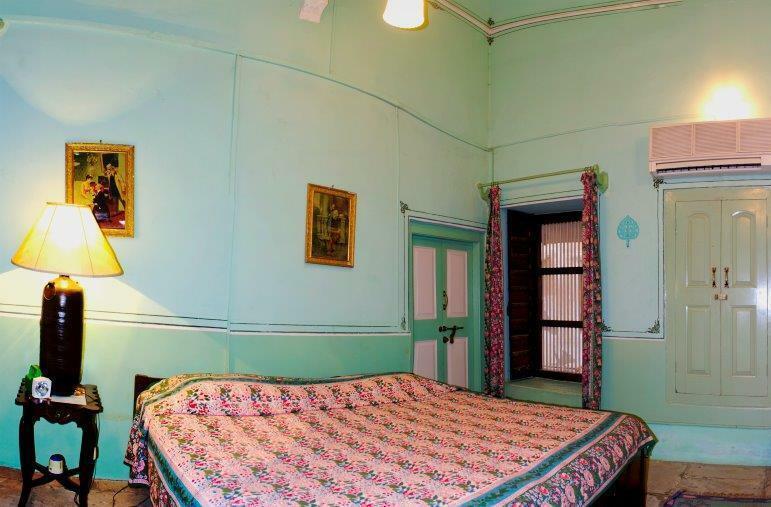 The property has a total of 8 rooms, which are categorized on the basis of the color and have been named Pink room, Blue room, Gold Room, Grey Room, White Room, Red Room etc. 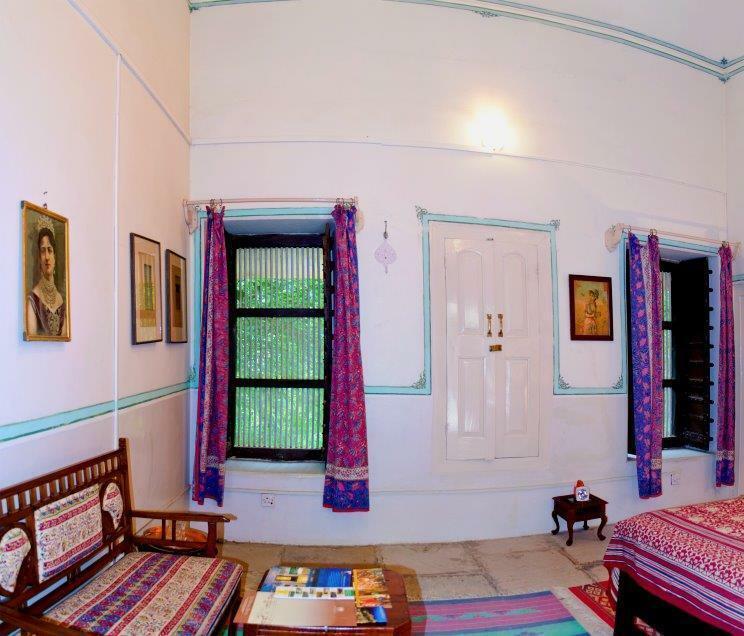 Situated on the ground level, these rooms have ingenious features of good traditional interior and blend of state of art infrastructure. 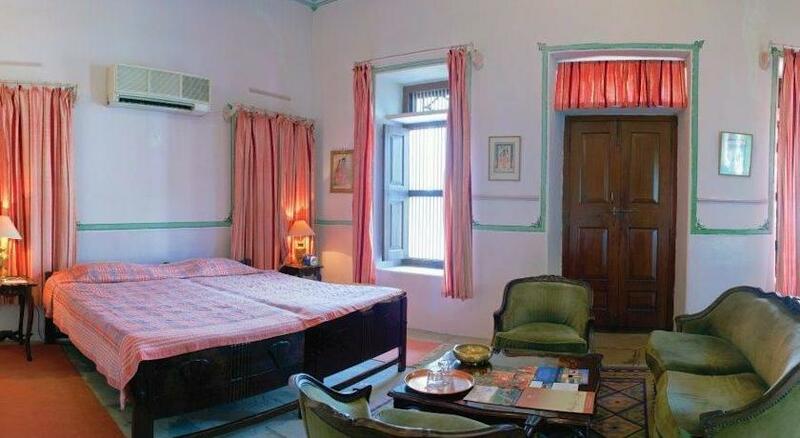 The best part of these rooms we could select these rooms as per our preference of colors and interiors. 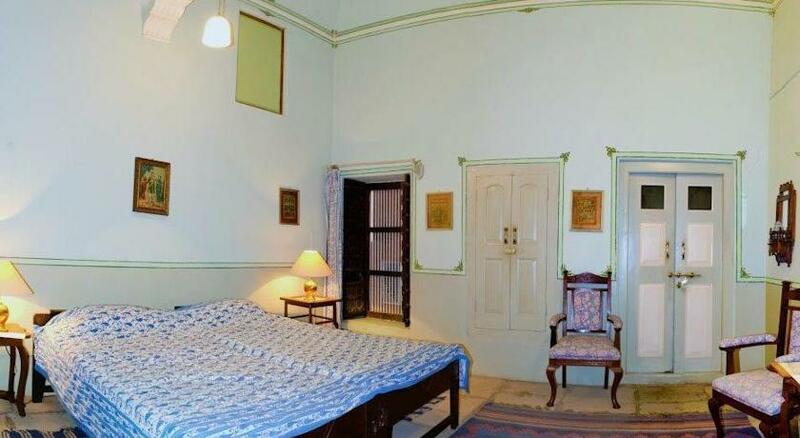 These rooms are located in the peaceful environment thus could suffice our needs of relaxation. 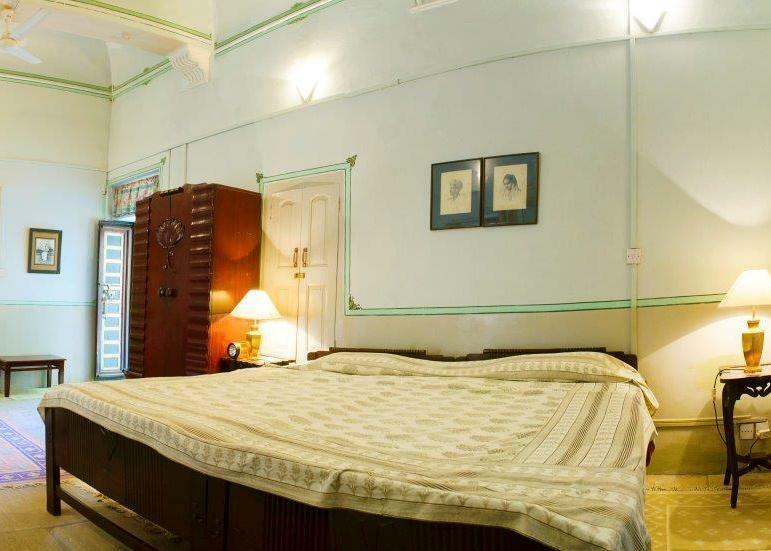 The dynamic room services do gives us the best experience of hospitality. 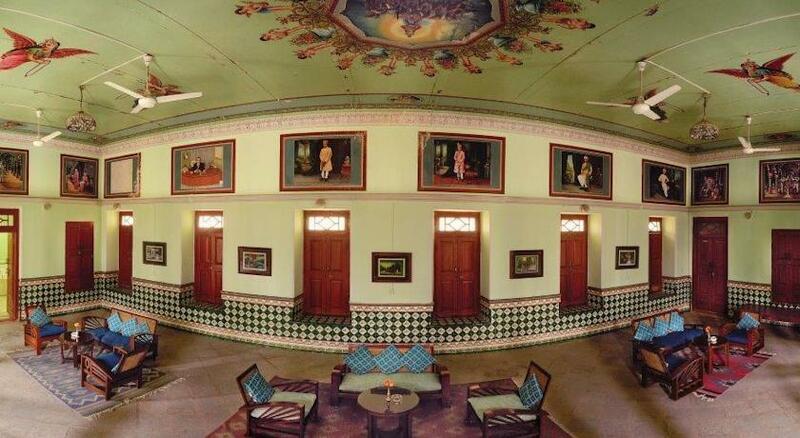 The Blue, white and Red rooms are air cooled. 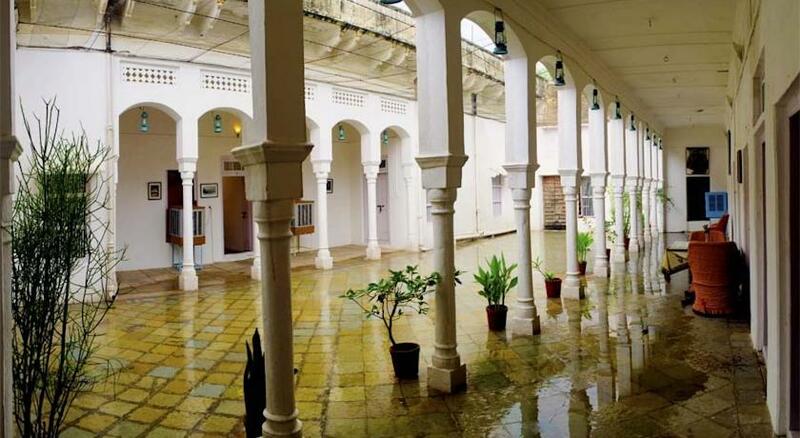 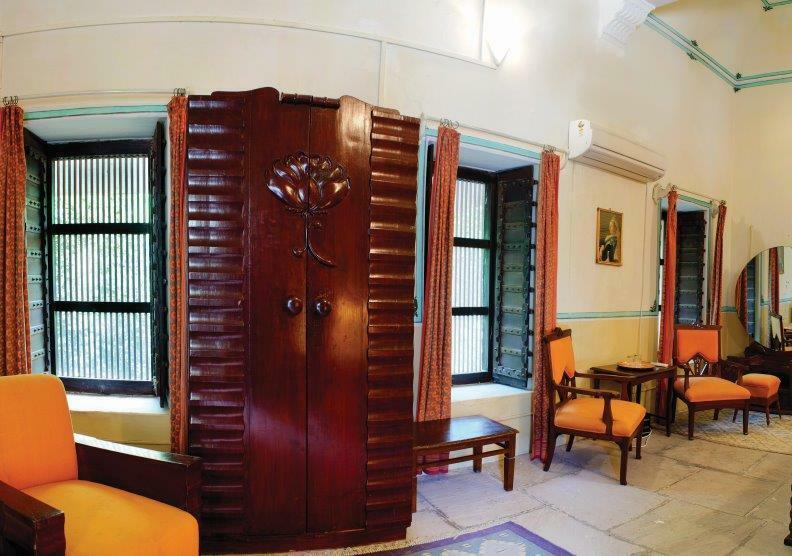 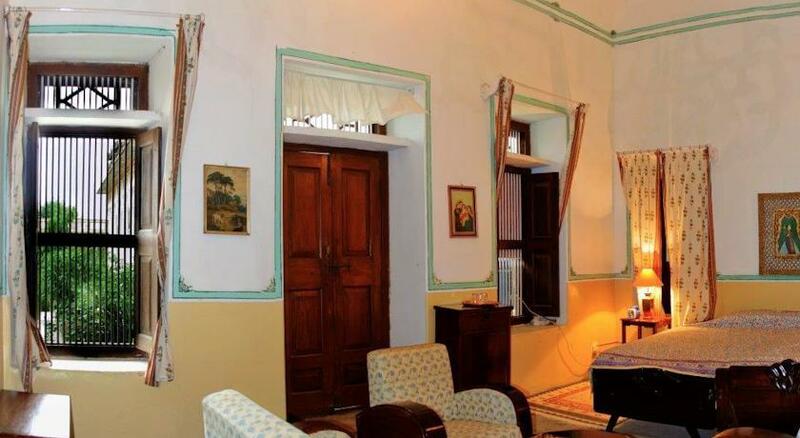 Each room either has an attached private verandah or a back courtyard. 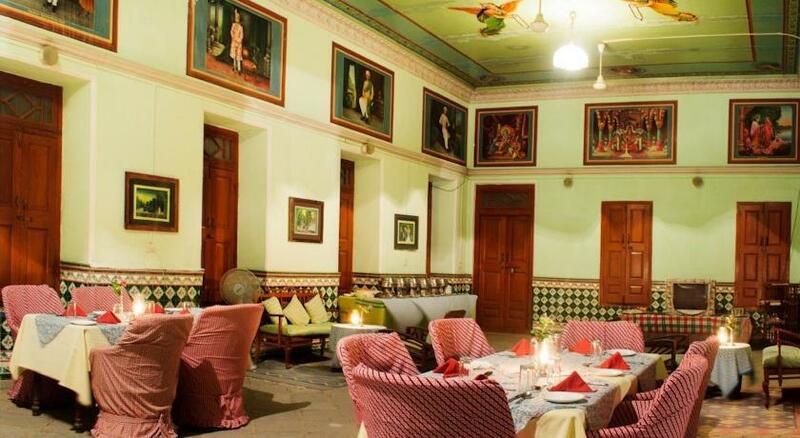 The in-house restaurant here offers scrumptious traditional Indian cuisines. 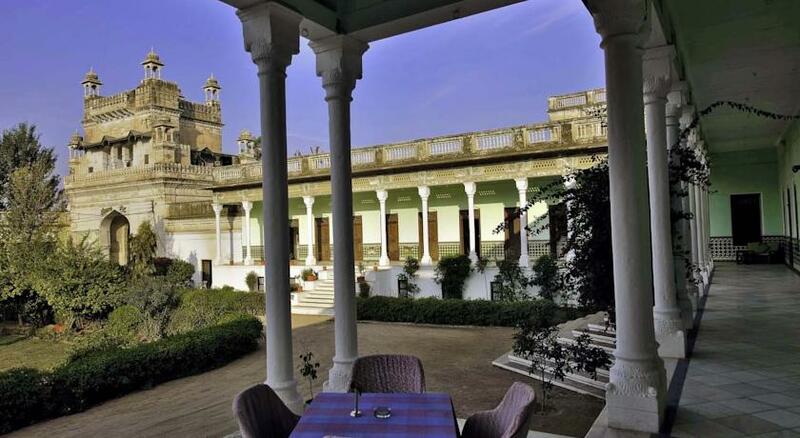 The chefs with their experience and knowledge tactfully use the combination of spices which makes the delicacies tasty and nutritious. 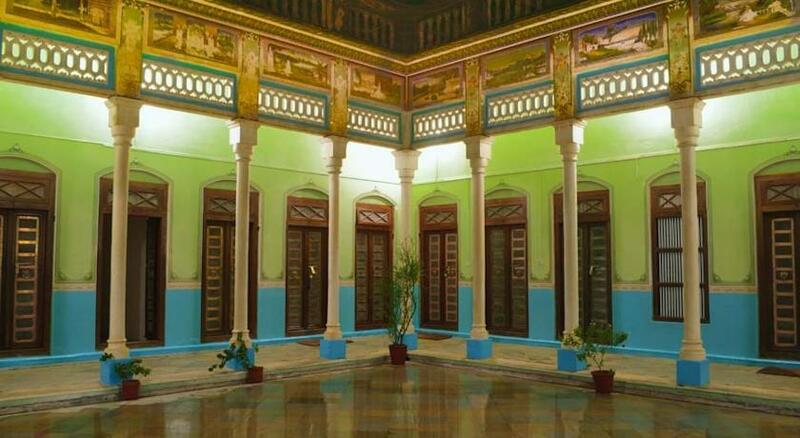 For personalized services and request the team is always ready to pamper our senses with wide range of services. 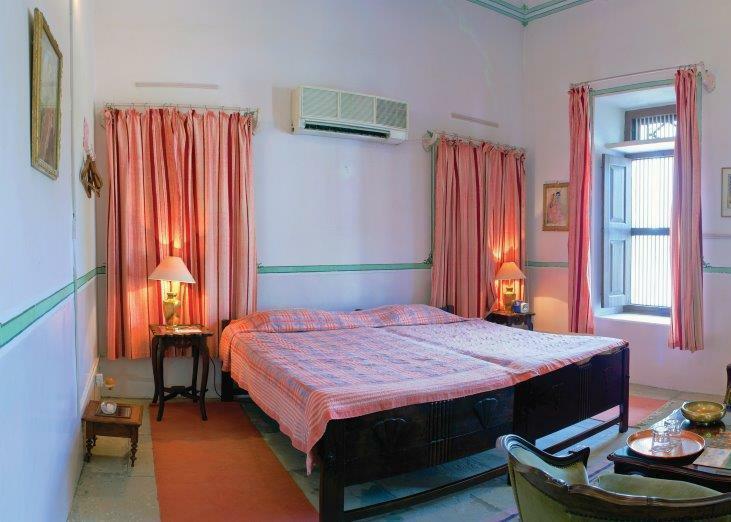 With good food here the hotel is also known for good ambience and soothing music. 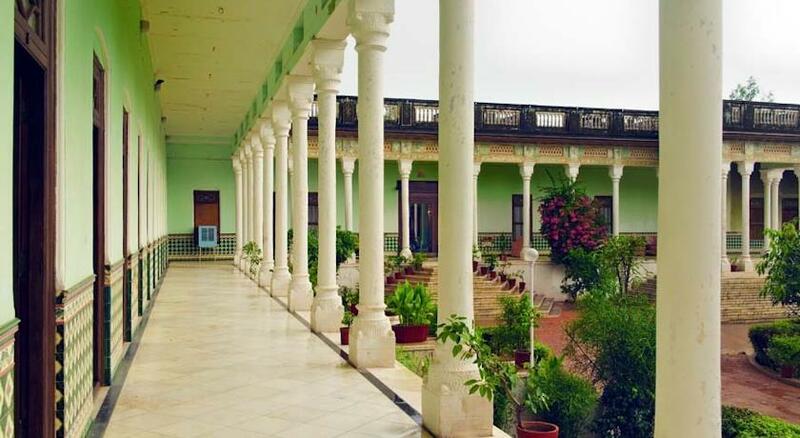 The worth trying dishes here are Vegetarian Marwari Cuisines.